How did 2015 corn silage stack up? Corn silage starch content is up and neutral detergent fiber (NDF) percent is down for much of the Midwest. Samples from the eastern U.S. and West Coast have average starch content. NDF digestibility was average to slightly below for most U.S. regions, though samples from Ohio trended higher than other areas. 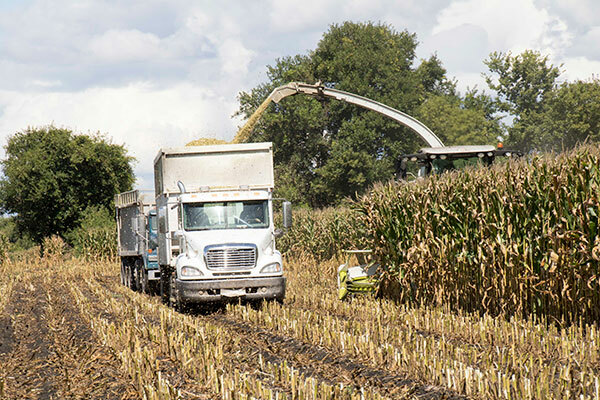 New, unfermented corn silage samples showed rumen starch digestion (RSD, 7h) only in the 60 to 70 percent range, but recent fermented samples have crept back to near 80 percent. Yeast counts for 2015 corn silage are up substantially across the U.S., except in California. Mold appearance is also up in this year's corn silage, except in Indiana and California. Some types of molds produce toxins, but at this point mycotoxins do not appear to be an issue. The 2015 corn silage crop appears to have more NEL (net energy for lactation) and consistent fiber quality than 2014. Goeser encourages producers with silage testing high for yeast or with visible mold to monitor anti-nutritional factors, especially as temperatures warm next spring.